Many of us use the checkboxes in iTunes to sort music. Well, I don't, and Apple probably thought very few people use it. So, in iTunes 10, the checkboxes are gone. I have a very, very simple fix, for those who could not figure it out themselves. So, the checkboxes are used to manage music. For example, you could check the songs you want to sync to your device, and then set it like that for the device. For example, if you have an iPod shuffle, which has very less space, you could sync only part of your library that you want, using checkboxes. Go to Edit (menu bar) -> Preferences, or press Ctrl + , as a hotkey. Now, in the General tab of the Preferences, enable the checkbox that says 'Show List Checkboxes'. Now, click OK, and look at your songs. You've now got back the checkboxes. Use iTunes just like you did before. Enjoy. Check out my other posts. If you haven't got the new iTunes, read my review on it, as the huge update downloads. For tips and tricks, see how you can move your iTunes library painlessly from one computer to another or see how to create an iTunes Account without providing your payment details. Be sure to check out my other posts in the archive, and stay tuned. VLC Media Player Santa hat easter egg! 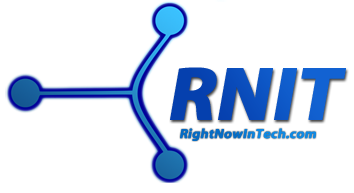 To stay updated with the best of tech news, reviews, editorials and more, please do subscribe to RNIT! Thanks to Jamey Gates (akproplayer on reddit) for the logo design.